Fun design in a serious home? Can it be done? Yes. If your looking for a bit of attitude to spruce up the boring household design then look no further than Hanging Pod Chairs. While these were hugely popular in the 60s and 70s, hanging pod chairs are making a comeback. With a thousand designs, there will definitely be a hanging pod chair to fit your style. So follow along as we guide you through the best reasons to get a hanging pod chair, where to purchase them, and just what they’re all used for. These chairs have many benefits, besides just be a comfy place to cuddle up with a good book. Hanging pod chairs come with many healing powers as well. Many people say that they feel more relaxed in a hanging pod chair, and many therapists recommend it too. Back & Neck Pain: A hanging pod chair can help with aching backs and neck pain. 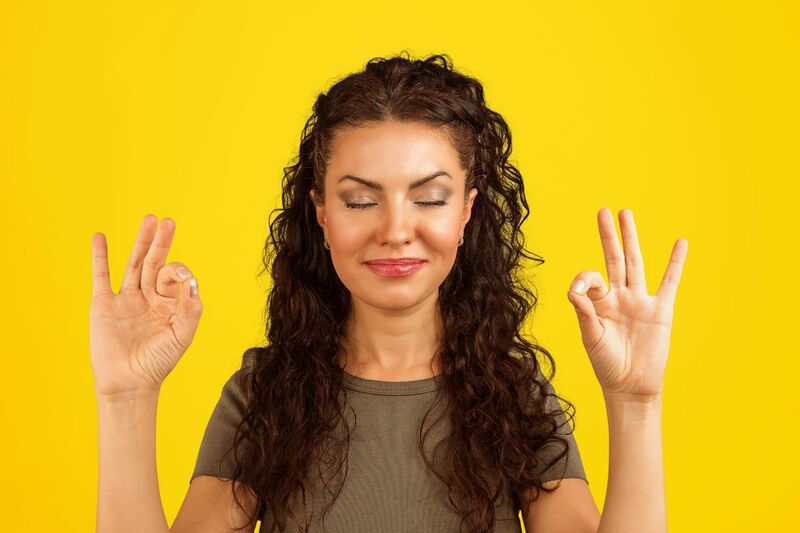 When we can reduce the number of pressure points in our bodies, we relax easier. Sleep Better: The light swinging motion of the chairs has been proven to help with sleep. The motion reminds the body of when it was a baby, being gently rocked back and forth, sometimes inducing sleep. Concentration: When swinging in the chair, the cerebral cortex becomes activated, increasing our concentration and focus. Many therapists recommend this chair, because of that reason. Floor Space: Hanging pod chairs take up almost no floor space, especially since they’re usually hanging from the ceiling. If you’re low on room space, hanging pod chairs are a good alternative. Stressful Days: Hanging pod chairs are specifically designed to induce relaxation, both physically and mentally. Bed Time: Calming down for bed isn’t always easy. Hanging pod chairs help to calm down the body and can make you feel sleepier. Meditation: Once again, being able to relax and stay concentrated is key when trying to meditate, and the hanging pod chair can help you achieve that inner peace. Soreness: Whenever your body says, “I need a rest!”. Hanging pod chairs release tension within the body, relaxing your muscles, and all around relieving back and neck pain. Style: Everyone’s style is different. This is seen especially within the home. While there are plenty of designs of hanging pod chairs, make sure you choose the one that fits you. Size: Always check the size of the chair first. Some hanging pod chairs are made specifically for children. This is also useful when determining how much space the chair will take up. If you think you might not have room for it, double check. Weight: Most hanging chairs come with a weight limit. Make sure to buy the chair that fits you. Your ceiling will thank you later. Price: Hanging pod chairs can be quite expensive. If you’re on a budget consider getting a basic chair and DIYing the rest. Hanging pod chairs are a great accessory to the home and come with many upsides, but make sure you’re not breaking your wallet or home. Traditional chairs can be painful over time or simply lose their appeal as styles change. The hanging pod chair never goes out of style. It is the perfect additive to every home. Their egg-shaped design can fit in anywhere. Hanging pod chairs are also made from many different materials. The most common, and most loved of course is wicker hanging pod chairs, but in today’s modern society, there are also metallic, and see-through chairs. Hanging pod chairs are a quirky, yet stylish piece to take home. That being said, here are our top five picks in hanging pod chairs. This hanging pod chair was definitely designed for the modern home, coming in metallic colors, and transparent acrylic. However, this chair is rather large and takes up more space than other hanging pod chairs. It’s a piece to talk about, that embraces the 21st century while holding on to the history of relaxation. 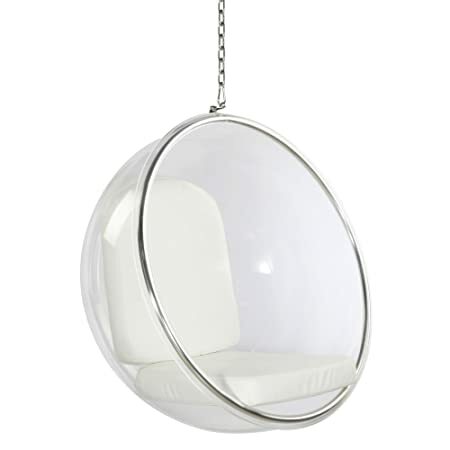 For any person with a sleek, modern style with a whimsical twist, the Hanging Bubble Chair is for you. The Hanging Bubble Chair is new, sturdy, and welcoming to us who are embracing the modern world of today. By far, this is the best one yet. While initially made for the outdoors don’t be afraid to put this stylized piece inside the home. The Hanging Egg Chair is formed into a teardrop shape and made from a durable black or brown wicker, keeping up with tradition. It can also handle heavier weights and is extremely cheap as these chairs go. The Hanging Egg Chair fits the home within and out. While the price of the Hanging Egg Chair is still high for those of us on a regular budget, it’s worth the little extra dough. Once again, this piece was originally designed for the outdoors. 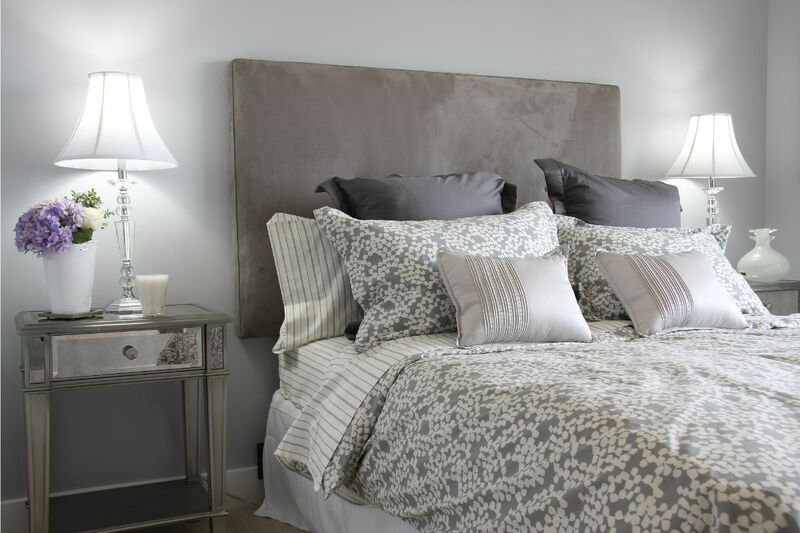 What this means to any sensible homeowner looking for a great styling piece is that it is durable. This chair will last. 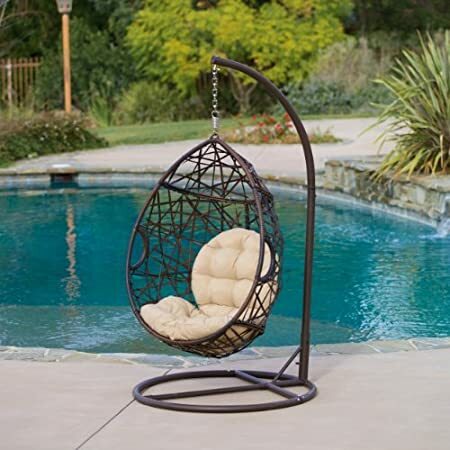 The Patio Hanging Chair is designed in a coffee bean shape, with the matching color of deep brown wicker. However, it does come with some drawbacks. For one, the price. This piece is more expensive than others. It also can’t handle as much weight as other hanging pod chairs, coming into holding about 220 pounds. Don’t let all of this discourage you though. It could be the perfect fit for your home. 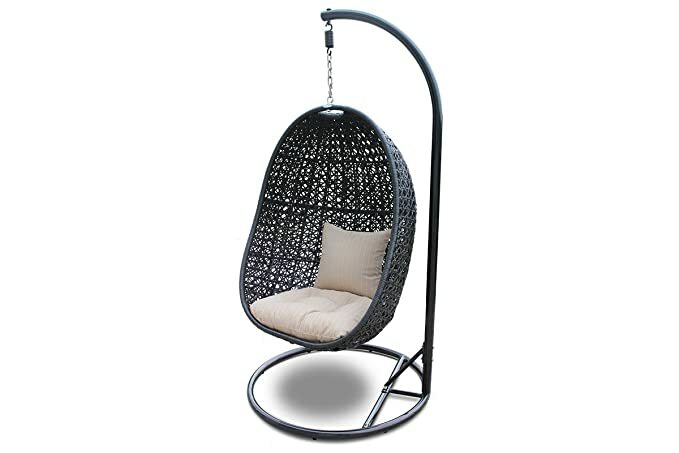 The Patio Hanging Chair could just become your next favorite spot to sit and relax outside the home or even inside too. The design of the Mod Pod is simple, faux wicker basket on an aluminium frame. The Mod Pod is made from one hundred percent recyclable resin and is sturdy for outside use. 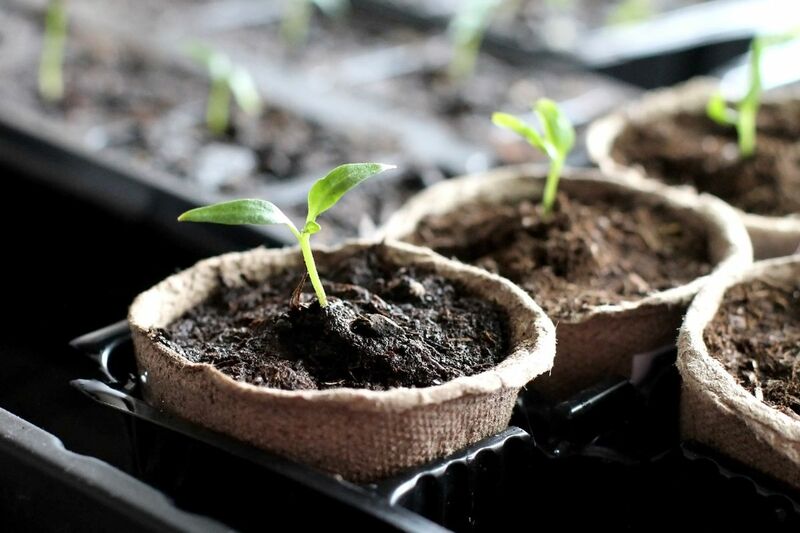 It’s eco-friendly and with its basic design, is great for any home. Clearly, the Mod Pod was built well and is sufficient for those who got lucky in the height department. While the price of the Mod Pod can be scary, and it doesn’t initially come with the extras, it is still worth the money and the time to add this beautiful classic to your home. Our number one pick for a hanging pod chair is this lovely one by Island bay. This water resistant thing of beauty is a stylish egg chair you can use both outdoors and indoors. The maximum capacity goes above 300 pounds so that means that it’s built on quite a stable framework. This one is a comfy seat for anyone wishing to simply relax after a long and tedious day. 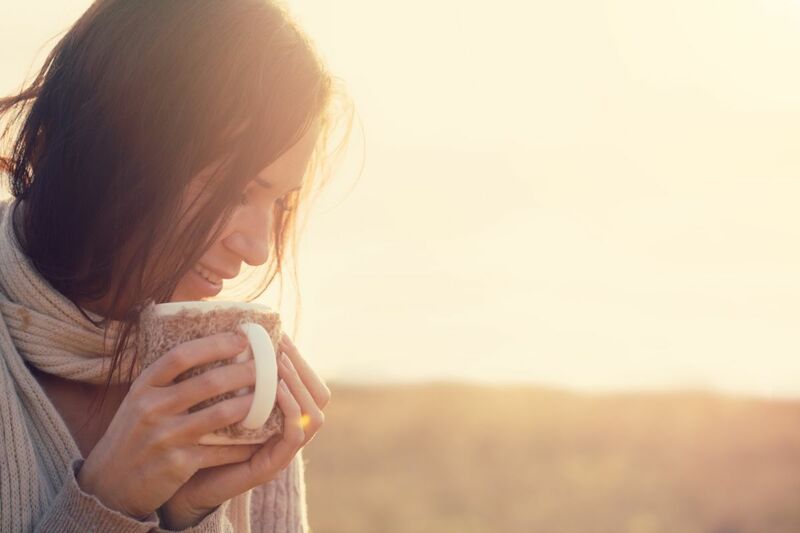 Whether you wish to meditate or to read, to sip on green tea or watch the clouds float by, this is a great pick. Overall, hanging pod chairs come with many benefits, and also some drawbacks. If you haven’t found the right one here, keep searching. There are hundreds online. These chairs are also possible to DIY, making them a fun crafting piece. 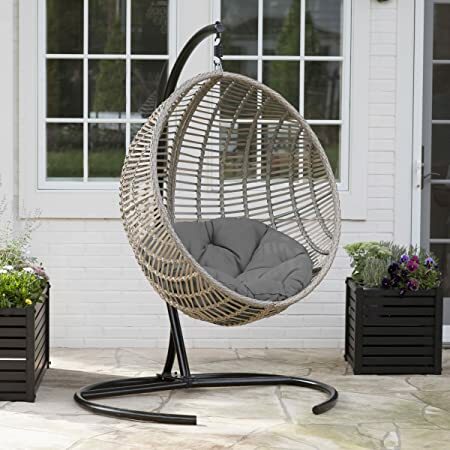 Mostly, the hanging pod chair was made for relaxation. Find a chair that will comfort you to the fullest and relieve the stress of the day. Don’t worry about finding the right fit for your home and style. Just let the hanging pod chair take the stress away and help you figure out what to do next on your grand adventure through life.